In the Detox Your Body & Mind in 30 Days Program, you will discover how you can change your path to better health and healing through good nutrition and stress reduction. If you are longing to have more energy, improved digestion, less brain fog, improved mood, sleep and much more; then this program is for you. Identify the benefits of practicing healthy lifestyle habits that support healthy detoxification and stress reduction. Learn how toxins affect the body and why a reular detox is important to your health. Identify the six keys to breaking bad habits and begin to experience more energy, happiness, and vitality! Complete a Daily Detox Check-In to help you reach your goal. Complete the Detox Your Body & Mind Health Journey Journal to track your progress. 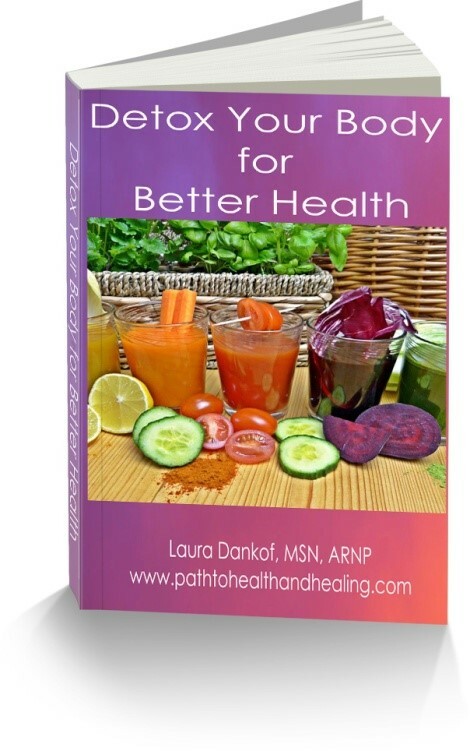 Start incorporating healing teas, juices, smoothies, soups, and healthy dishes into your diet that support good nutrition, a healthy detox and a healthy body and mind. In this 30 day self-guided program you will be provided with a step-by-step plan to removing bad habits and replacing them with healthy diet and lifestyle choices. Detoxes have become very popular, but many only focus on the body and neglect the mind. Negative thoughts and stress have been shown to have a detrimental impact on both your physical and mental well-being. Therefore in this program you will be provided with a detailed plan that provides you with specific actions to cleanse your body and mind. Each section of the course will address key factors to improving your digestive health, sleep, energy, mood, skin, weight loss goals, immunity and reducing brain fog. By the end of this course you will have a better understanding of what steps you can take to improving both your body and mind. Get Started now for only $97!